If you regularly train indoors, then you owe it to yourself take your respiratory health into consideration -- traditional ammo creates a lot of toxic fumes when ignited that your lungs could much better do without. 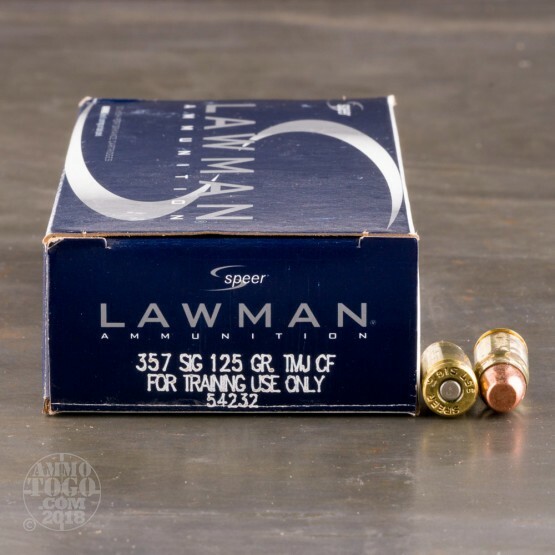 This 357 Sig cartridge from Speer’s Lawman Clean-Fire line of ammunition will help you greatly thanks to both its specialized bullet and its primer. 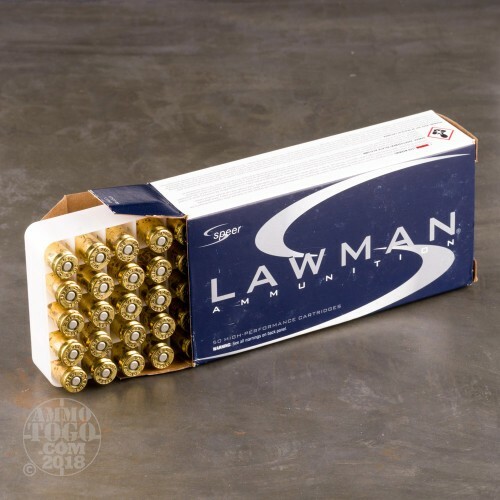 This round’s 125 grain projectile is a total metal jacket. Because its base is enveloped by its jacket just like the rest of its lead core is, hot propellant gasses won’t lick at and evaporate it during ignition. (The bullet’s flat meplat is ideally suited for shooting paper targets as well.) 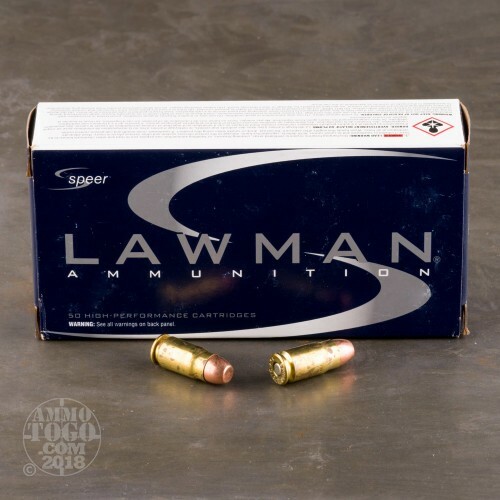 This cartridge’s Clean-Fire primer earns its name for being entirely devoid of lead, barium, and antimony, three elements which have no business inside of your body. 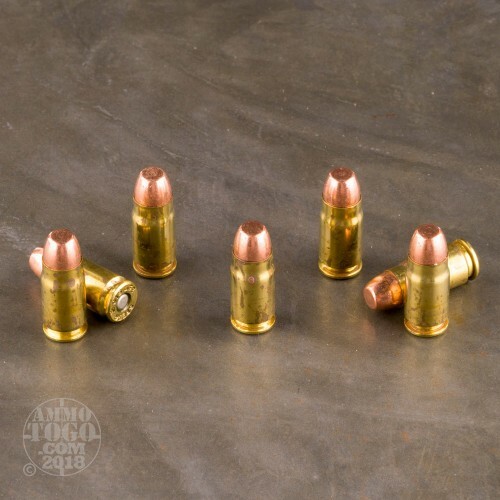 Should you look inside of this round’s brass casing after having fired it, you’ll see that it’s noticeably cleaner than a typical round’s, a solid indication of its superiority for training wherever ventilation might be inadequate.